New in Rappora version 3.0.16 is Client Relationship Management (CRM) functionality where you can track your leads and referral sources, among other enhancements. In addition to client Carespaces, you can now create Carespaces for referral sources and leads. Some functionality is shared by all Carespaces (notes, documents, contacts, locations) where other Carespace pages are just for leads and clients (plan of care, tasks). With the new Rappora CRM you can create leads on-the-go, associate them with a referral source and create notes with reminders. 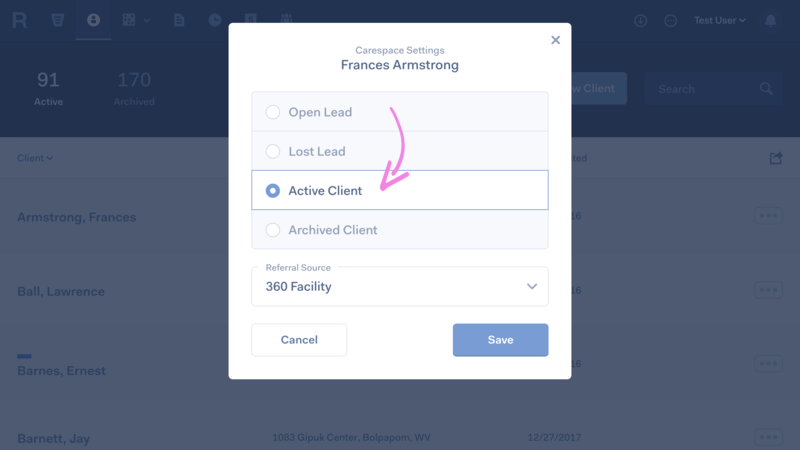 Note: "Open Carespaces" and "Archived Carespaces" are now called "Active Clients" and "Archived Clients" for better naming alongside Referral Sources, Open Leads and Lost Leads. Once you're ready for a lead to become a client, simply modify the Carespace settings and you're immediately ready to create schedules and work shifts. 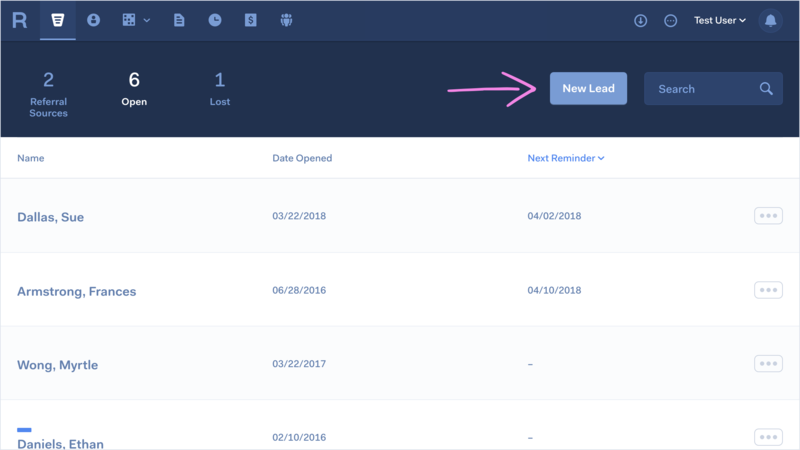 Referral Sources, Leads, Clients and Employees all have a new Notes page that is only accessible by users with Office Staff or greater permissions. Notes can be used to track calls with leads with follow-up reminders, or reassessment reminders for clients, or recertification reminders for employees... the possibilities are endless. 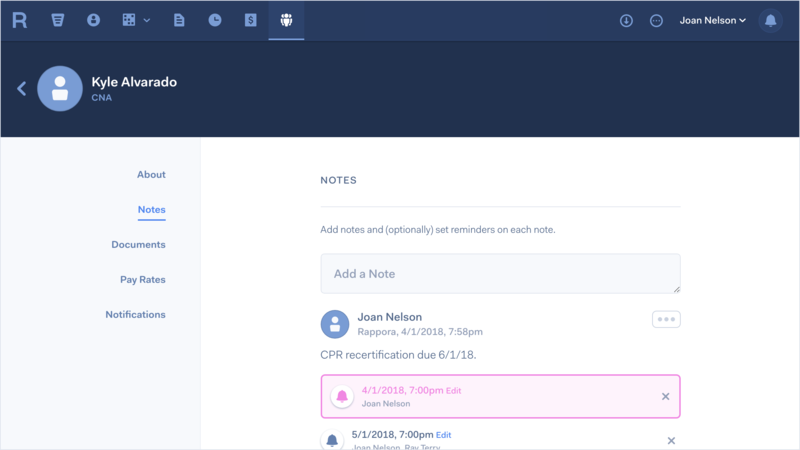 You can create multiple reminders for each note, and each reminder can be sent to multiple people at the specified time. New in Settings > Carespaces is a customizable statement that is included in the plan of care PDF export next to the signature lines. You can use this statement to specify how the plan of care was created and what the signees are signing. Note: This has been disabled for current Rappora customers. You can enable this statement in Settings > Carespaces if you have Business Admin permissions.